Kari Smith earned her B.A. in International Relations from George Mason University and her M.S. in Information from the University of Michigan School of Information. She is Digital Archivist at the Massachusetts Institute of Technology, Institute Archives and Special Collections unit of the MIT libraries. Until 2011 she was Head of the Visual Resource Collections and Media Services at the University of Michigan Department of the History of Art. 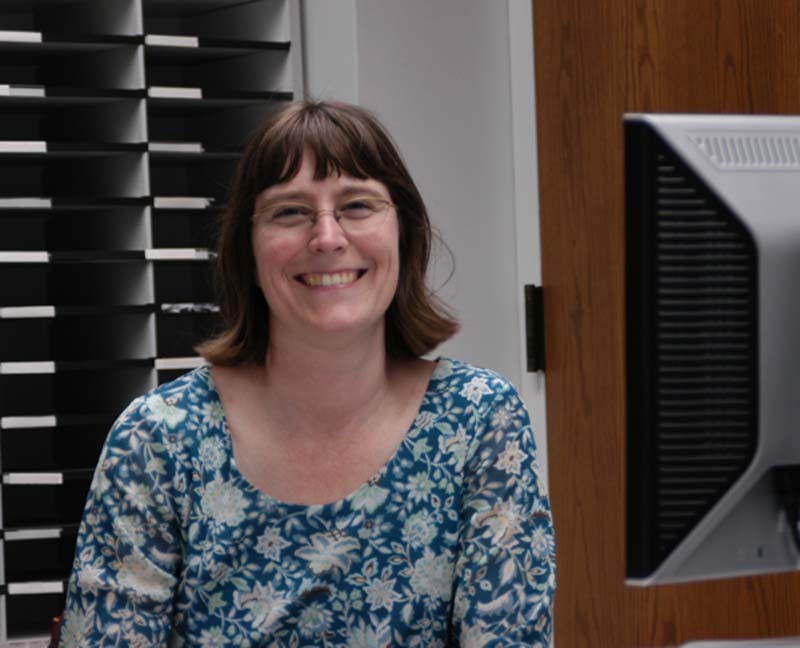 She is also the part-time Project Manager and a senoir Instructor for the Digital Preservation Management workshops, run by ICPSR and Dr. Nancy Y. McGovern. Kari has more than fifteen years of experience working with electronic records, digitization and metadata projects. Her responsibilities as Digital Archivist include accessioning digital and hybrid collections from Institute administrative and personal faculty collections; implementing processes for effective acquisition, description, access, preservation, and future migration of digital collections acquired by the Archives. She also leads the Archives effort in developing practice and standards for MIT digital content creators as well as providing guidance on intellectual property and rights issues as they relate to archives and special collections material and perservation. Kari's research interests include intellectual and long-term access to cultural material especially through interoperable metadata of digital objects. She is a member of the New England Archives Association and a founding member of the digital archives round table. She was a member of the VRA's Data Standards Committee, Embedded Metadata Subcommittee investigating the preservation implications of embedding rich metadata into image files. 2011 - current. Digital Archivist, Institute Archives and Special Collections, MIT Libraries. 2007 - 2011. Head, Visual Resources Collections and Media Services, History of Art, University of Michigan. 2008 - current. Project Manager, Digital Preservation Management Workshops, ICPSR, University of Michigan. 2003-2006. Digital Project Archivist, Rare and Manuscript Collections, Cornell University Library, Ithaca, NY. 2001-2003. External Relations and Communications Officer for the Columbia University Libraries, New York, NY. 1993-1996. Electronic Records Manager SAIC, US Army on-site office, Moscow, Russia. 2009 - 2010 Advanced Leadership Seminar, University of Michigan, Center for the Education of Women, Ann Arbor, MI. Selected for the 2009-10 cohort of women leaders at the University. Undertook a change management project for the Media Services and Visual Resources Collections units to successfully combine two offices, reorganize space and staffing responsibilities. Participated in the design of the session, Systems Change Management, pt. 2. 2007 Fellow, NHPRC Electronic Records Research Fellowship, Global Archivist, Ann Arbor, MI. Awarded a Professional Development Fellowship, which I tenured in Romania. During my six month fellowship, I investigated systems and procedures of cultural documentation at several museums, archives, and other cultural institutions in five Romanian cities. I assisted Romanian museums and architectural archives develop databases for collections management and lectured at three Romanian Colleges about information architecture and the future of information management. Engineering the Future of the Past . Digital Archives blog, MIT Institute Archives and Special Collections, MIT Libraries. Smith, Kari R. and Nancy Y. McGovern "Digital Curation and Tools" at the Georgia Society of Archivists meeting, October 2012. Smith, Kari R. "Is Embedding An Answer?" at the 2009 SAA Reserach Forum, Austin, Texas, August 2009. Smith, Kari R. "Grapes of Wrath" New York Archives, Albany, NY: Vol 5, Number 5, Summer 2006. Smith, Kari R. "Using Digital Technologies in Cultural Education." Toward the Virtual University : International Online Perspectives. Ed. Nicolae Nistor. Greenwich, Conn.: Information Age Pub, 2003. 219-232. Smith, Kari R. "From Oral Tradition to Digital Collectives: Information Access and Technology in Contemporary Native American Culture," RLG DigiNews Dec. 15, 2002, vol. 6, No. 6. December 18, 2002. Holland, Maurita P., and Kari R. Smith, "What the Digital Library Doesn't Tell You: Exploring the Gaps and Opportunities," p.89 in Global Digital Library Development in the New Millennium, ed. by Ching-chih Chen (Beijing: Tsinghua University Press, 2001). Holland, Maurita Peterson, and Kari R. Smith. "Using Information Technology to Preserve and Sustain Cultural Heritage: the Digital Collective." World Culture Report 2000 Cultural Diversity, Conflict and Pluralism. 1 ed., p.186-96. Paris, France: Unesco Publishing, 2000. "A New Model for Cultural Heritage: The Digital Collective", at Digital Libraries '99: Advanced Methods and Technologies, Digital Collections, St. Petersburg, Russia, October 1999. "Collaborate Learning: Using Digital Technologies for Cultural Education", at Romanian Internet Learning Workshop, Cluj-Napoca, Romania, August 1999. "Broadening Access to Native American Collections via the Internet", at Museums and the Web 1999, New Orleans, Louisiana, March 1999.